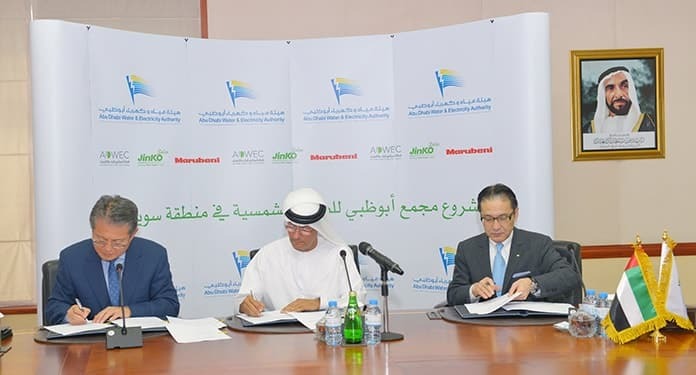 A major move by global tech giant Microsoft Corp to power its Asian operations with solar-generated electricity marked a watershed moment for the worldwide uptake of renewable energy, with solar currently the clear leader in the field. In late February, Microsoft announced a 20-year agreement to purchase 100 per cent of Sunseap Group’s 60 megawatt-peak (MWp) solar-generated electricity output from its new solar project in Singapore. The tech giant’s Singapore deal is backgrounded by healthy advances in the uptake of solar energy across the world in 2017, the highlight of which was a 53GW solar flare in China which pushed total world clean energy investment last year to $333.5 billion. 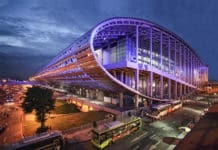 Microsoft’s first Asian clean energy deal, the Sunseap project is the first renewable energy portfolio in Singapore to install solar panels on hundreds of rooftops across the small island nation, with the 60MW generated dedicated to power Microsoft’s Singapore datacenter which delivers to customers Microsoft Azure, Office 365 and numerous other cloud services. Our cloud services are helping to power Singapore’s digital transformation, and this agreement will ensure that transformation is increasingly powered by clean energy. – said Kevin Wo, managing director, Microsoft Singapore. “This deal is our third international clean energy announcement, following two wind deals announced in Ireland and The Netherlands in 2017,” said Christian Belady, general manager, Cloud Infrastructure Strategy and Architecture, Microsoft. We’re on track to exceed our goal of powering 50 per cent of our global datacenter load with renewable energy this year. Once operational, the new solar project will bring Microsoft’s total global direct procurement in renewable energy projects to 860MW. Microsoft was recently placed No. 1 in the inaugural Thompson Reuters Corp Top 100 Global Technology Leaders list, followed by chipmaker Intel Corp and network hardware manufacturer Cisco Systems Inc. The 100 global tech leaders list included only those companies with annual revenue of $1 billion or more, with 45 companies headquartered in the United States, two in Canada, 38 in Asia, 14 in Europe, and one based in Australia. Also in the Top 10 were U.S. tech giants Apple Inc, Alphabet Inc, International Business Machines Corp and Texas Instruments Inc, along with microchip maker Taiwan Semiconductor Manufacturing, German business software giant SAP and Dublin-based consultant Accenture. Singapore’s leading solar energy system developer, Sunseap targets markets in the South East Asia and the Pacific, with projects including a 140 megawatt-peak (MWp) solar farm in India, a 10 MWp solar farm in Cambodia, operations in Malaysia and active development in Thailand, Vietnam and the Philippines. 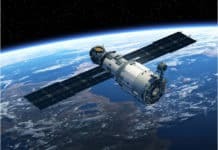 Underscoring the wave of renewable energy uptake sweeping Asia, a recent report by key industry analyst Bloomberg New Energy Finance (BNEF), reveals a 53GW solar flare in China pushed total world clean energy investment to $333.5 billion in 2017, up 3 per cent on the previous year’s revised $324.6 billion, taking cumulative investment since 2010 to $2.5 trillion. “The 2017 total is all the more remarkable when you consider that capital costs for the leading technology – solar – continue to fall sharply. Typical utility-scale PV systems were about 25 per cent cheaper per megawatt last year than they were two years earlier,” said BNEF chief executive Jon Moore. BNEF Clean Energy Graph. Note: Clean energy covers renewable energy excluding large hydro, plus energy smart technologies such as efficiency, demand response, storage and electric vehicles. BNEF’s annual figures for past years, revised in this round, are $61.7 billion in 2004, $88 billion in 2005, $129.8 billion in 2006, $182.2 billion in 2007, $205.2 billion in 2008, $206.8 billion in 2009, $276.1 billion in 2010, $324 billion in 2011, $290.7 billion in 2012, $268.6 billion in 2013, $321.3 billion in 2014, $360.3 billion in 2015, $324.6 billion in 2016 and $333.5 billion in 2017. The 2016 figures reflect a significant revision, due to the arrival of new data on Chinese solar and wind and on global corporate R&D. Source: Bloomberg New Energy Finance. Total global solar investment was $160.8 billion in 2017, up 18 per cent on the previous year. Just over half of that figure, $86.5 billion, was spent in China, with solar investment up 58 per cent, with an estimated 53GW of PV capacity installed – up from 30GW in 2016. “China installed about 20GW more solar capacity in 2017 than we forecast,” said BNEF Asia-Pacific head, Justin Wu. “Second, the cost of solar continues to fall in China, and more projects are being deployed on rooftops, in industrial parks or at other locales. These systems are not limited by the government quota. Large energy consumers in China are now installing solar panels to meet their own demand, with a minimal premium subsidy,” he said. 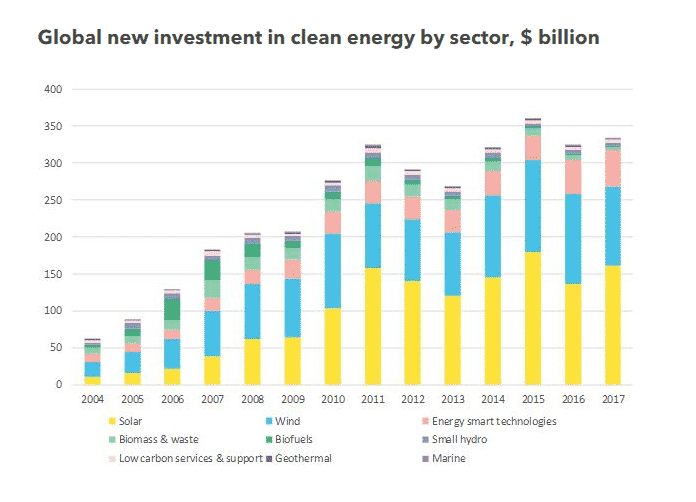 Chinese overall investment in clean energy technologies set a new record, up 24 per cent to $132.6 billion, followed by the U.S., at $56.9 billion, up 1 per cent on 2016. Leading the way in the Middle East, United Arab Emirates was a standout, up 23-fold on the previous year with investment of $2.2 billion. 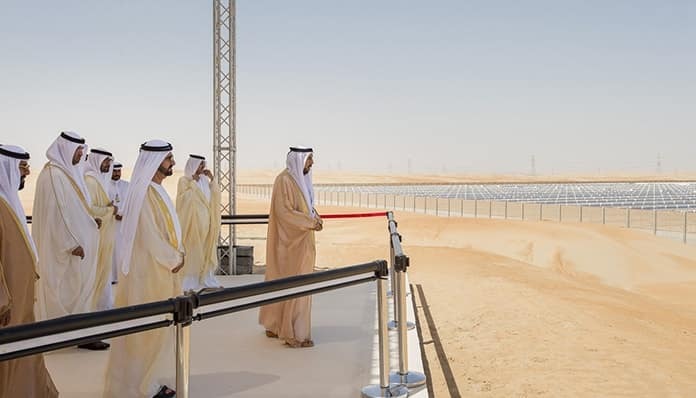 The two biggest solar projects of all to get the go-ahead last year were both in the United Arab Emirates: the 1.2GW Marubeni JinkoSolar and Adwea Sweihan plant, at $899 million, and the 800MW Sheikh Mohammed Bin Rashid Al Maktoum III installation, at an estimated cost of $968 million. Wind was the second-biggest sector for global renewable energy investment in 2017 at $107.2 billion, down 12 per cent on 2016. Large wind and solar project financings pushed Australia up 150 per cent to a record $9 billion and Mexico up 516 per cent to $6.2 billion. Other countries to register healthy rises in renewable energy uptake included Canada up 45 per cent to $3.3 billion, Sweden up 109 per cent to $4 billion, Egypt up 495 per cent to $2.6 billion, Chile up 55 per cent to $1.5 billion, Argentina up 777 per cent to $1.8 billion, Indonesia up 71 per cent to $1 billion and Spain up 36 per cent to $1.1 billion. Countries that went into decline included Japan, down 16 per cent in 2017 to $23.4 billion, India down 20 per cent to $11 billion, Germany down 26 per cent to $14.6 billion and the U.K. down a massive 56 per cent to $10.3 billion, while Europe as a whole invested $57.4 billion, down 26 per cent. BNEF’s 200-strong analytical team, located in 176 offices on six continents, say the future looks bright in the solar energy landscape of 2018, predicting a surge in South-East Asia, further falls in the price of storage batteries and up to a 40 per cent rise in global electric car sales, nearing 1.5 million vehicles. Markets will continue to open up for clean power, storage and electric vehicles, spurred on by continued falls in costs for solar and wind energy, and for lithium-ion batteries. “In batteries, we estimate that lithium-ion pack prices fell by no less than 24 per cent last year, opening up the prospect, with further cost improvements, of EVs undercutting conventional, internal combustion engine cars on both lifetime and upfront cost by the mid-to-late 2020s,” said to BNEF chief editor Angus McCrone. However, there is room for concern, McCrone said. “One particular risk is the uneasy co-existence of the most buoyant financial markets for more than a decade with the potential for a political or geopolitical shock – perhaps a collision between President Donald Trump and Robert Mueller, the special counsel investigating Russian interference in the U.S. presidential election; or a miscalculation on the Korean peninsula; or a military clash between Iran and Saudi Arabia,” he said. “There is a more conventional market risk. A healthier world economy has raised the likelihood of tightening monetary policies in not just the U.S. but also Europe and Japan. “Long-term interest rates have recently been rising and a bigger move in the same direction could start to affect the cost of capital, and therefore the relative competitiveness of high-capex, low-opex technologies such as wind and solar,” he said. New countries will emerge as significant markets, with global solar installations reaching 107GW in 2018, up from 98GW last year. “In the total global forecast for PV this year, China still dominates, with 47-65GW. However, this is the year that Latin America, South-East Asia, the Middle East and Africa will make up a measurable slice of the total. Mexico is likely to be a 3GW-plus market in 2018, and Egypt, the U.A.E. and Jordan between them at 1.7-2.1GW,” said BNEF head of solar, Jenny Chase. 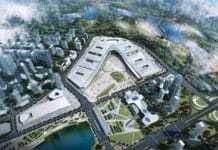 “However, it looks as if Chinese state-owned developers and investors will build them anyway, on the assumption that the government will find a way and, if not, compensation for the power itself will prevent a total loss,” Chase said. A mandatory Renewable Energy Credit may be introduced this year in China. The cost of lithium-ion batteries will continue to fall in 2018, but at a slower pace. “Cobalt and lithium carbonate prices rose 129 per cent and 29 per cent respectively in 2017. This will start to increase average cell prices in 2018, leading to many headlines about how the EV revolution and the rise of energy storage are under threat,” said BNEF head of storage, Logan Goldie-Scot. “The market is still fragile, however, and some expectations about the speed of deployment are not realistic. Batteries are hyped as the answer to all problems with intermittent renewables, including price cannibalization caused by the merit order effect, system-level balancing and network constraints. Policies rather than economics alone will determine the rate of uptake,” Goldie-Scot said. Worldwide EVsales will be close to 1.5 million in 2018, with China representing more than half of the global market. “This will represent a rise of around 40 per cent from 2017, a slight slowdown in the growth rate as China tapers off direct subsidy support in preparation for the introduction of its EV quota in 2019,” said BNEF Head of Electric Vehicles, Colin McKerracher.